Hotels, gas pipeline, real estate. Canadian investment firm Brookfield Asset Management seems to be on a deal-making spree in India. 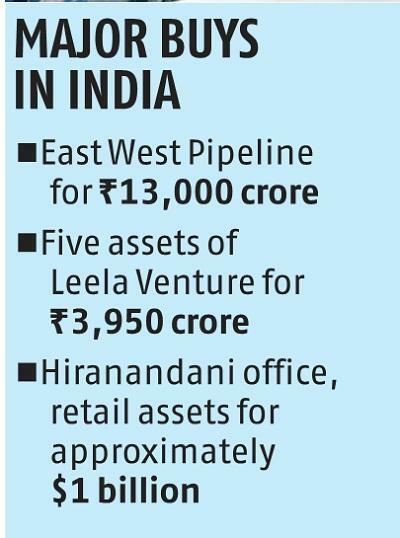 Last week, an investment trust led by Brookfield bought RIL's East West Pipeline for Rs 13,000 crore ($1.87 billion). On Monday, it announced the Rs 3,950-crore deal to acquire five assets Hotel Leela Venture. Two announcements in two weeks could be a coincidence as both were in the works and it can take 8-9 months to close a deal. ‘‘They are optimistic about India, and see value,'' says the CEO of a large infrastructure fund. It's not just Brookfield which is bullish on infrastructure in India, but all sovereign and pension funds. 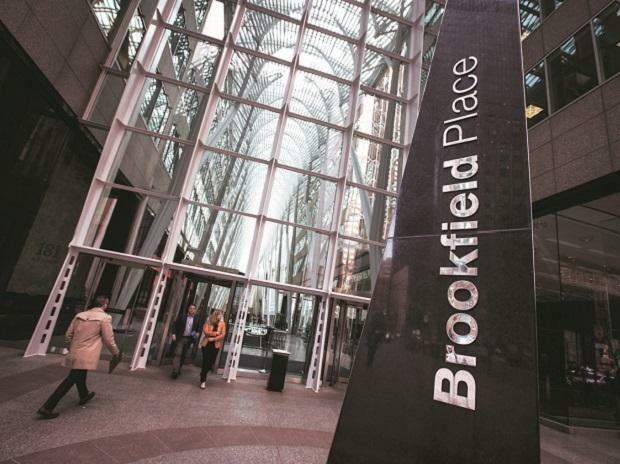 ‘‘It is not just Brookfield, but almost all sovereign funds from West Asia, Singapore as well as Canadian pension funds such as CPPIB and CDPQ have been buying operating projects,'' says a lawyer who advises these investors. For Brookfield, India has emerged as a key destination, after its core markets in the US and Europe. Brookfield recently raised $50 billion across three flagship funds in real estate, infrastructure, and private equity (PE). ‘‘If we have the right opportunities, I see no reason why $10 billion could not come here,'' Anuj Ranjan, senior managing partner and regional head, Middle East and Southeast Asia recently told the Mint newspaper. So far, Brookfield had invested around $7 billion in India. This two deal would take the tally close to $10.5 billion. Other major deals include acquisitions of office and retail assets of Hiranandani Developers in Mumbai for $1 billion and acquisition of Equinox Business Park, a commercial property in Mumbai’s Bandra-Kurla Complex, from the Essar Group for ₹2,400 crore. It has also invested in roads and renewable energy. It was also in talks to buy the tower assets of Reliance Communications, but it fell through.